On November 9th of 2009, the world will mark the 20th Anniversary of the conclusion of the Cold War. That was the day that the Cold War's most tangible symbol -- the Berlin Wall -- was relegated to the ash heap of history. Unlike the 20th Century's other great conflict, the Cold War did not end in an explosion of neutrons, but rather, an explosion of human freedom and optimism. We had avoided what many thought inevitable -- the destruction of mankind through armed conflict between the Soviet Union and the United States. Overnight, the face of Europe had changed. Suddenly, all things were possible. That was 20 years ago. Sadly, we all learned that the end of the Cold War was not "the end of history." Mankind would find new ways to divide itself. While the threat of nuclear holocaust disappeared, newer and more sinister forms of conflict would take its place. Where once superpowers bestrode the globe, decentralized networks and even individuals now command the world's attention. It's become a popular enough title that people who would normally run in fear from it are still quite interested. 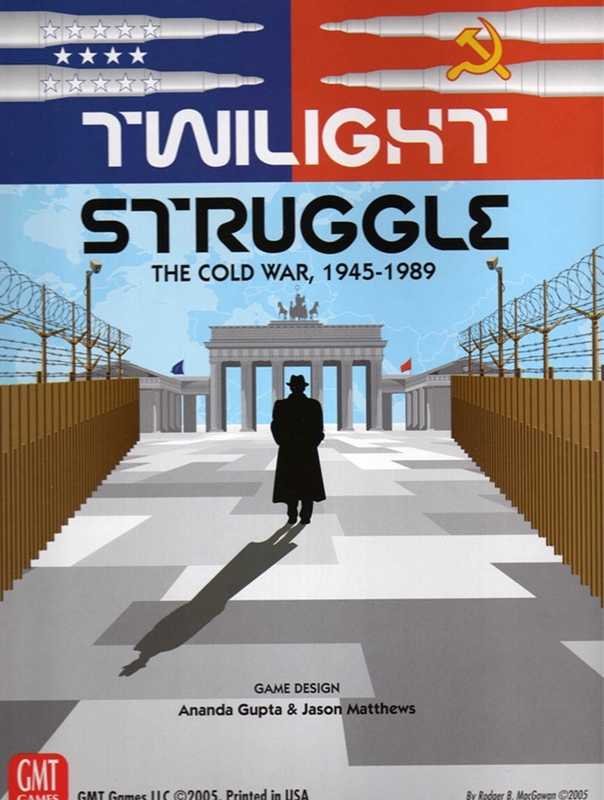 I fit this description myself, and I consider Twilight Struggle to be a great afternoon game for two guys (or girls, maybe, nobody I know!) - it's actually fairly light in terms of depth and reliance on skill. There is a moderate luck element to the card aspects of the game. It's very fun, very entertaining, and VERY well made. Recently received an advance copy of this game by GMT - rest assured the new 3rd edition is just as beautiful and lovingly crafted as their recent 2nd edition run. Definitely pick this one up, even if its the only game of its genre you own. A great crossover game, quick and fun but plenty of Cold War flavor. Don't blow up the world!